A few weeks ago I heard my nine-year-old granddaughter tell her six-year-old sister that when school started, summer was over. I tried explaining to her that summer didn’t actually end until September 21st, but nothing I could say would change her mind. 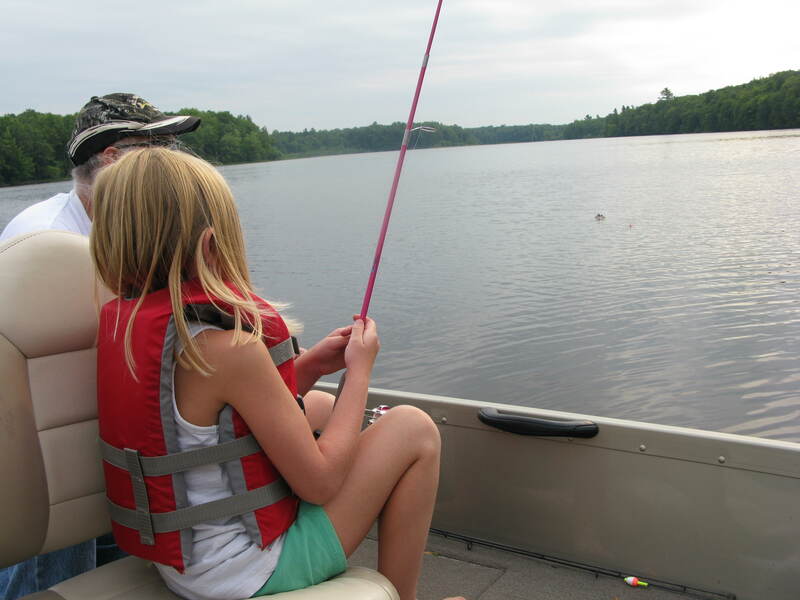 I figured it was a child thing – once school started, summer life as she knew it was finished. Then I started listening to adults say basically the same thing. “School’s started, summer’s over.” “Labor Day is here, summer is over.” Add to that “Where did the summer go?” “The summer went so fast.” Even the weathermen, who should know better, are already talking about fall weather. Geez, haven’t the last hot, hot days given anyone a clue that summer is not yet over? Beautiful sunsets from our deck. •	Attended a writer’s conference. 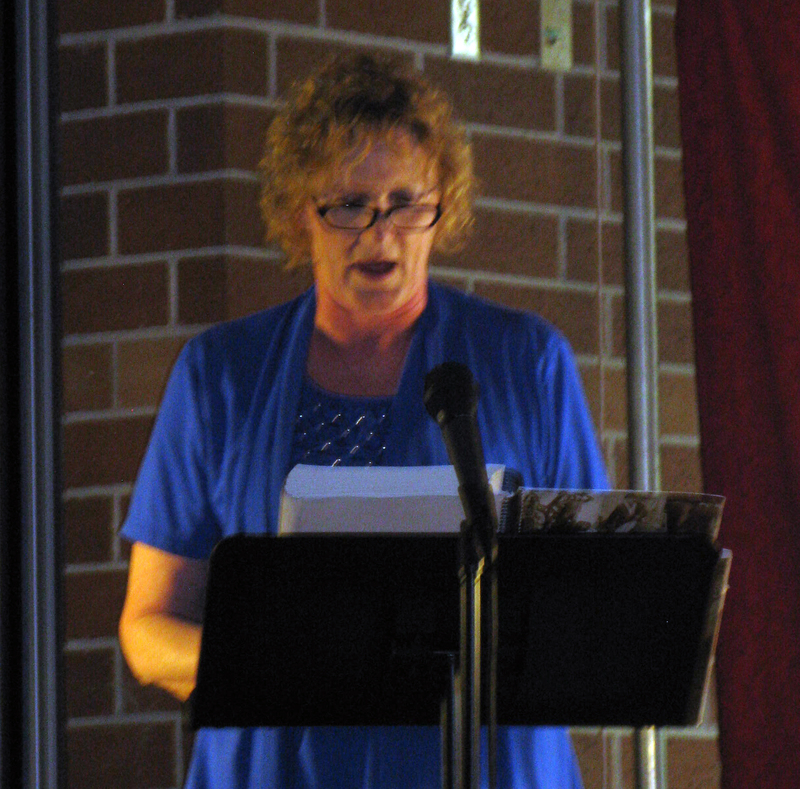 •	Gave several speeches on writing. 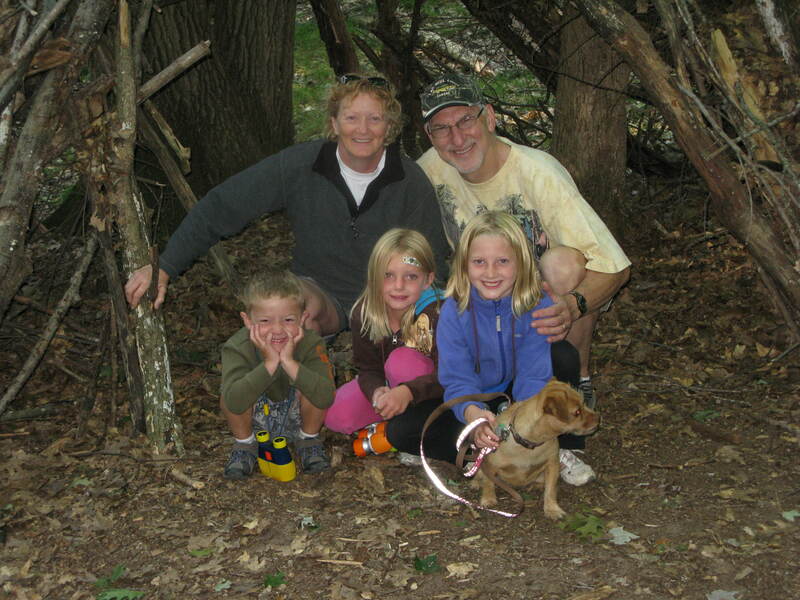 •	Watched my grandkids two days a week and took them to T-ball, soccer, swimming, gymnastics, the city pool, my house, piano lessons, library programs, nature center. 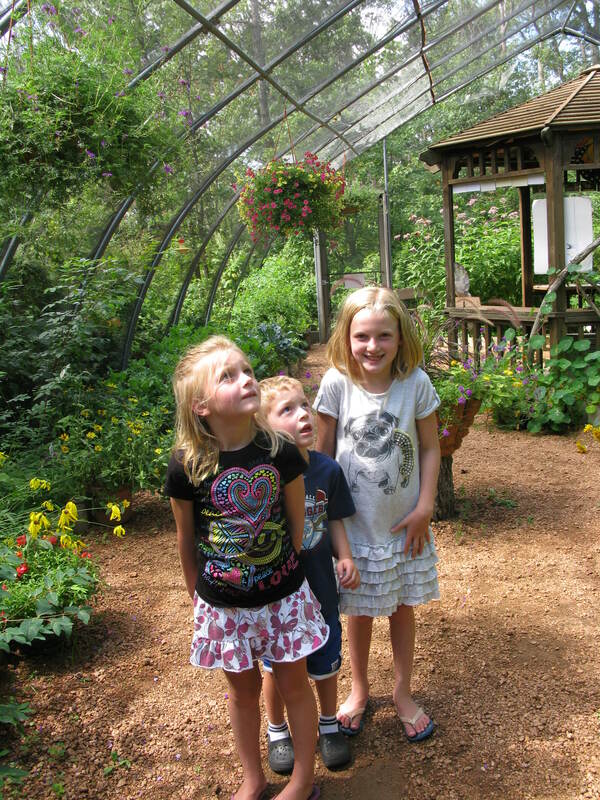 Watching butterflies flitting around at a nature center. •	Went to rummage sales to find things for our apartment in the city where we have our business. •	Moved to said “cozy” apartment. •	Made many trips between where we now live and where our business is (80 miles one way). •	Attended H&R Block meetings. •	Enjoyed a visit by my son and his family (wasn’t nearly long enough). 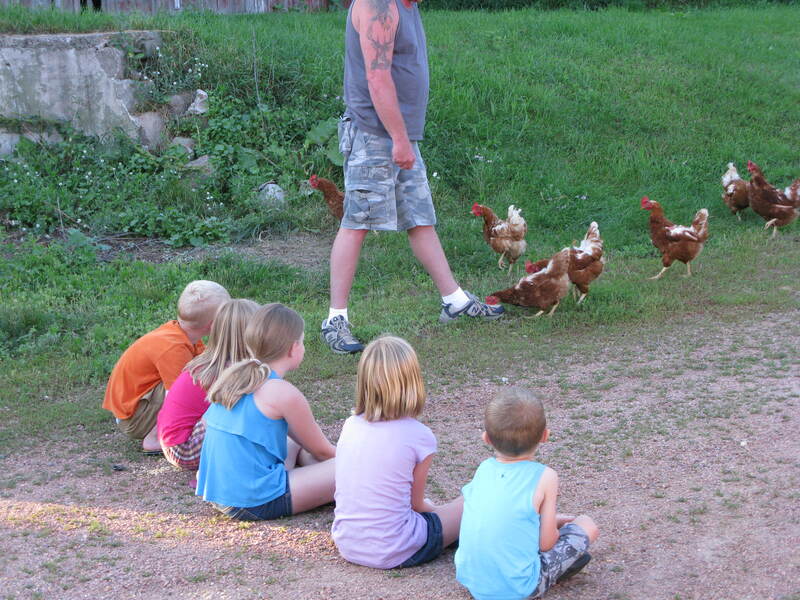 Grandkids waiting for chickens to eat from their hands at my brother’s farm. •	Have fun for two days on my brother’s farm. •	Went to a Brew and Rib fest and danced the afternoon away. •	Attended a Brewer’s baseball game – first in one in over fifteen years. 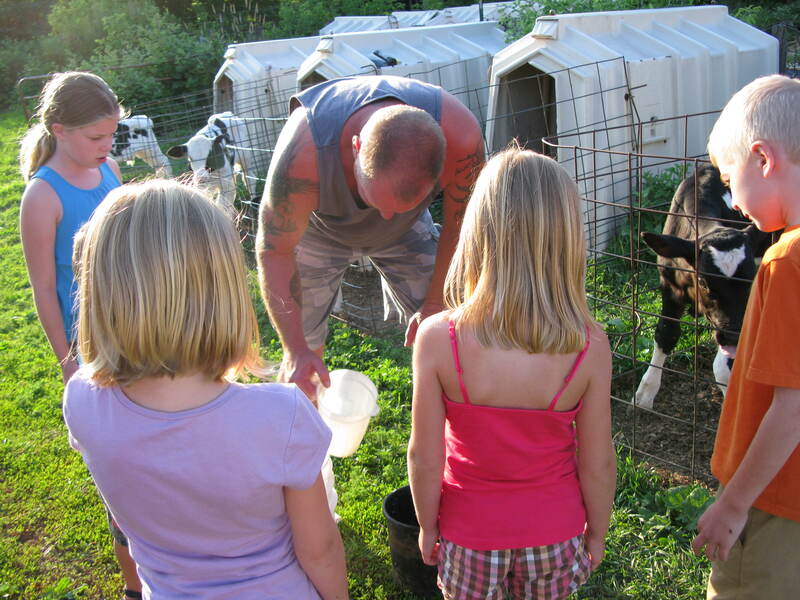 Feeding calves at my brother’s farm. •	Visited with friends in Madison and Milwaukee. •	Bought a new camper. 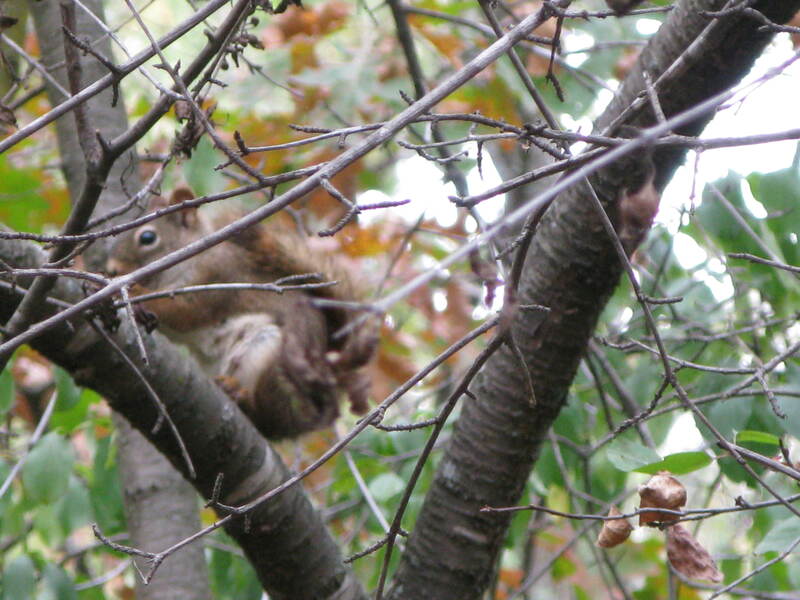 •	Went camping with family (still have two more times this “fall”). •	Re-united with a cousin and her husband. •	Went kayaking for the first time with my cousin. 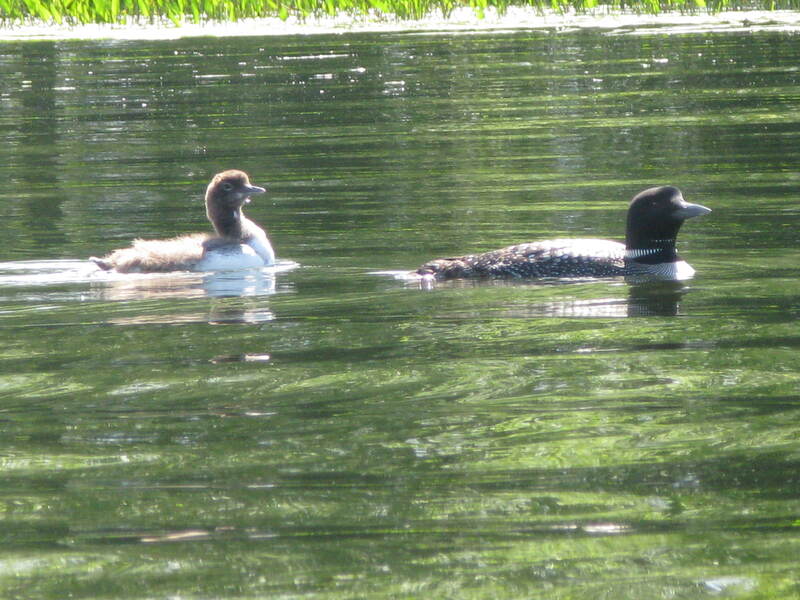 Loons I saw while kayaking. •	Spent two weekends with my cousin. 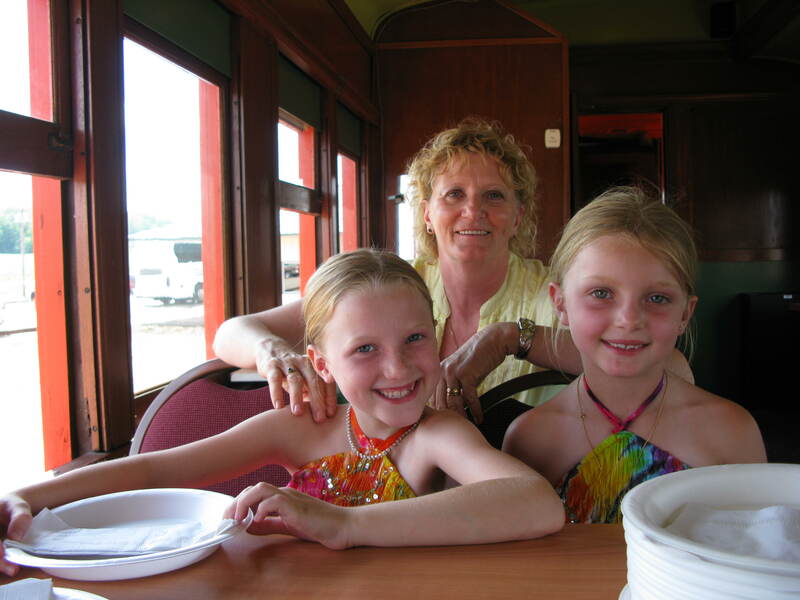 •	Took the grandkids on a train ride – rode in a car that is over 100 years old. On 100-year-old car on train. 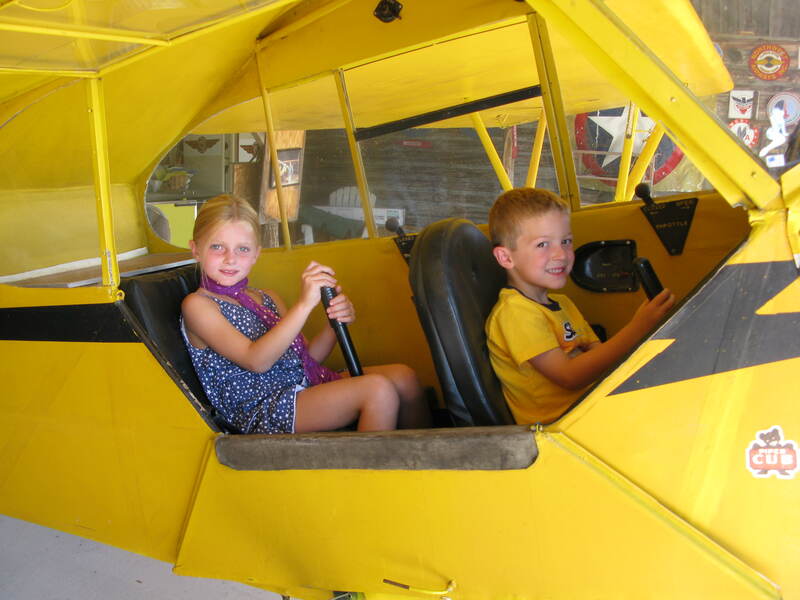 •	Attended a fly-in with the grandchildren. •	Finished a children’s book. •	Met with an illustrator on my up-coming children’s book. •	Wrote a short story for a Christmas anthology for my publisher. •	Went on many bike rides. •	Met with my writers’ group. •	Spent time on a friend’s pontoon on their lake. 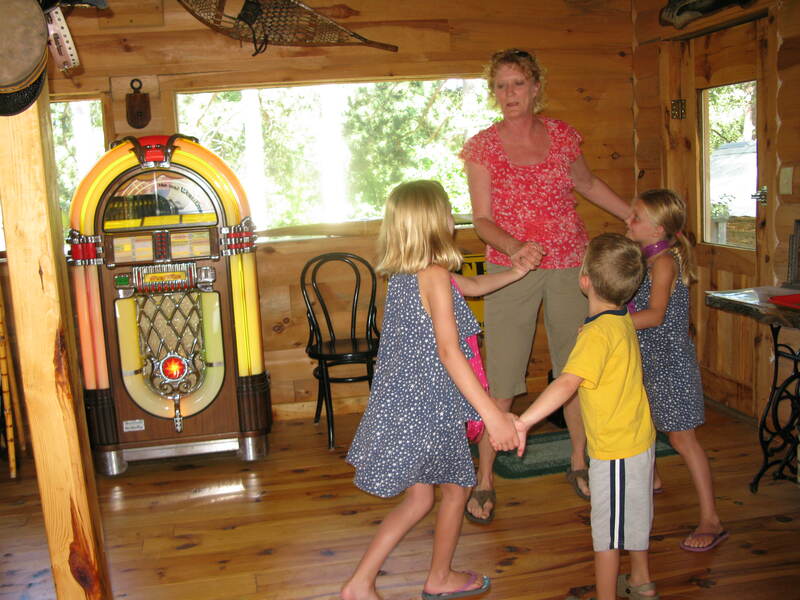 •	Danced with my grandkids to an old-time jukebox. 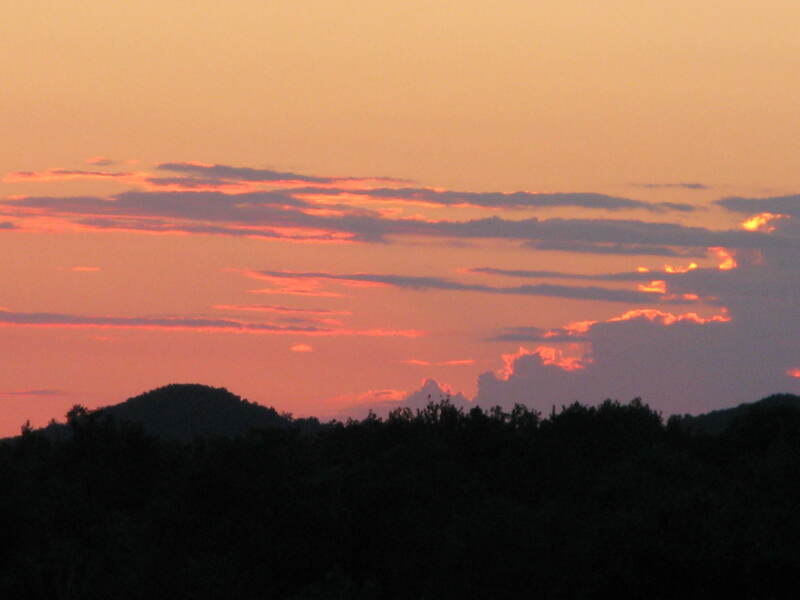 •	Watched many beautiful sunsets from our deck. Fishing. Unfortunately we got skunked. 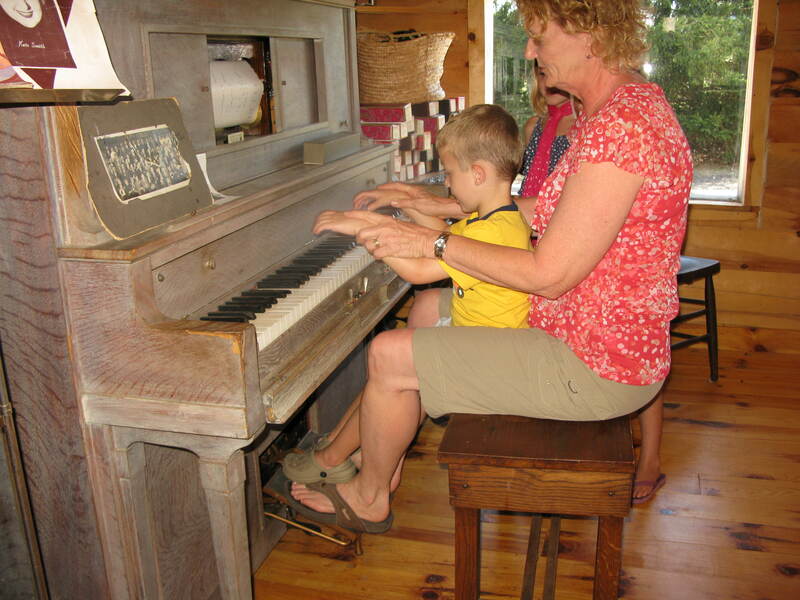 Helping grandson play an old player piano. Before checking my appointment book, I would have said I hadn’t done much this summer. But looking back – no wonder I’m tired. No wonder it’s been a month since I blogged. So, here’s to another great summer and what’s to come in the remaining two weeks. A few weeks ago I had the pleasure of being one of three guest authors at Creative Cafe, a new project by some active parents at our local middle school. 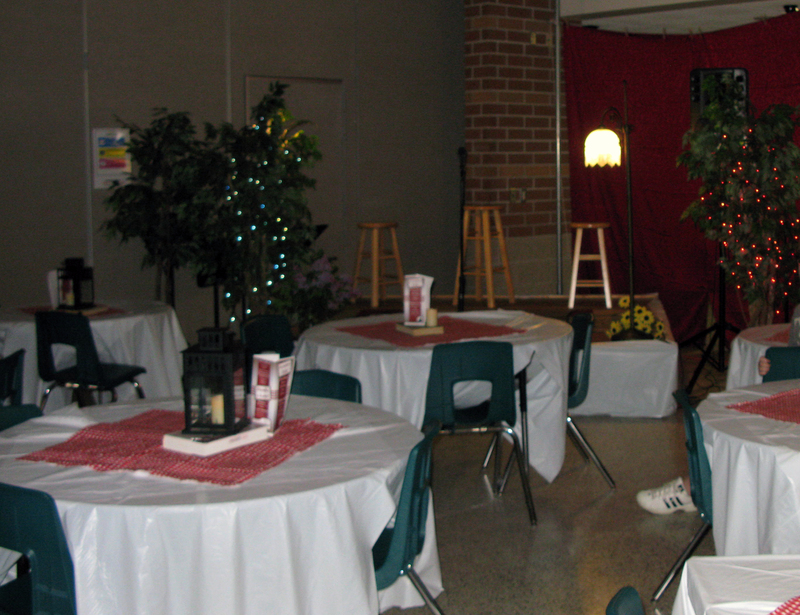 Creative Cafe was designed to promote the creativity of fifth through eighth graders through poetry, skits, and stories, either original or published by other authors. Not knowing what to expect, I was pleasantly surprised when I entered the school. As you walk into the building, usually the first thing you see is the commons area. That night the opening to the commons was covered with fabric draped over rope and tied back on each side to leave a gap through which to enter. Instead of long tables, the area now held about a dozen and half round tables, covered in table cloths, each holding a lit candle. Christmas lights were draped over trees and a corner stage held chairs, subdued lights and a microphone. A young man played soft music on a piano in the corner. With the normal glaring fluorescent lights turned off, one was transported to a quiet, charming Parisian café. To add to the ambiance, we did not applaud after each performance, but snapped our fingers. I loved it. The night was divided into three parts with the guest authors reading parts of their books at the beginning of each session. During the evening, students, dressed in long white aprons, carrying order pads, routinely came to each table and said, “Good evening. 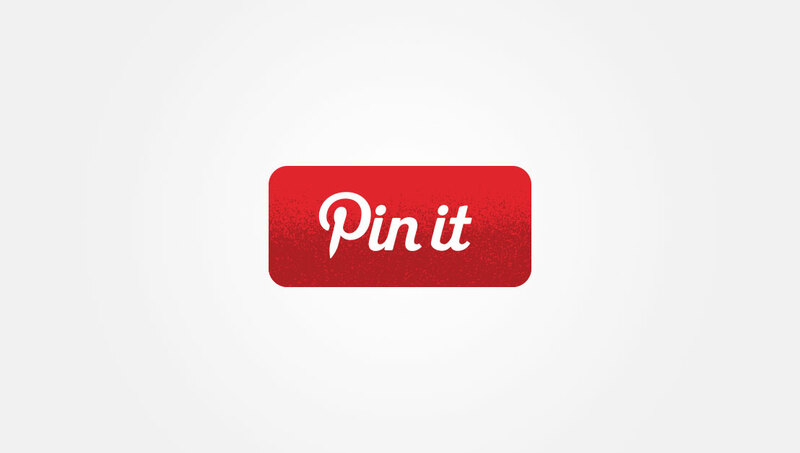 My name is _______. I will be your server tonight. Is there anything I can get for you?” Each one said it such serious demeanor, I couldn’t help but smile and visualize them saying their words over and over so they wouldn’t make a mistake. As the night went on most of these waiters were on stage performing for the audience. 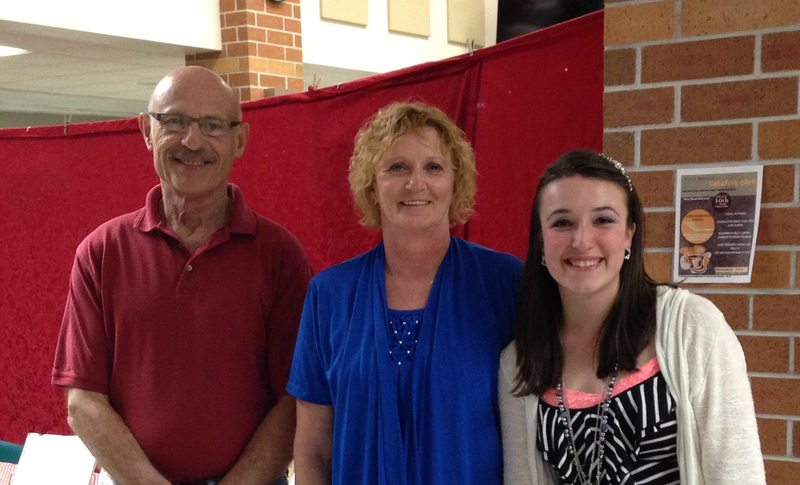 Not only did the students get on stage, but so did teachers and staff, including the principal. I felt it was good for the students to see their teachers get nervous, mess up their performance, but carry on. (If I could ever find the program for the night, I could actually tell you what some of the readings were.) From Shakespeare to Dr. Seuss to poetry written by a student’s father, the show was enjoyable from beginning to end. I took many, many pictures, but because of the lighting very few turned out. And unfortunately, I can’t publish the ones of the students. One of the guest authors was Amelia Kimball, the youngest of the guest authors, who started writing Inside Out while in the sixth grade. 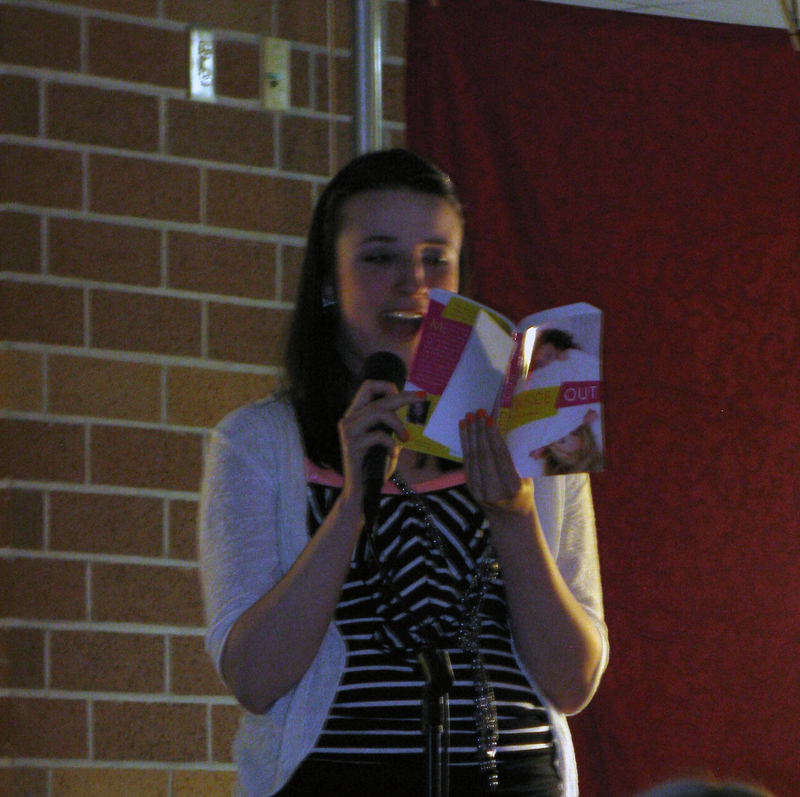 Her book is geared toward high school students. The other author, Charles Schoenfeld, read from his book, A Funny Thing Happened on My Way to the Dementia Ward, Memoir of a Male CNA. 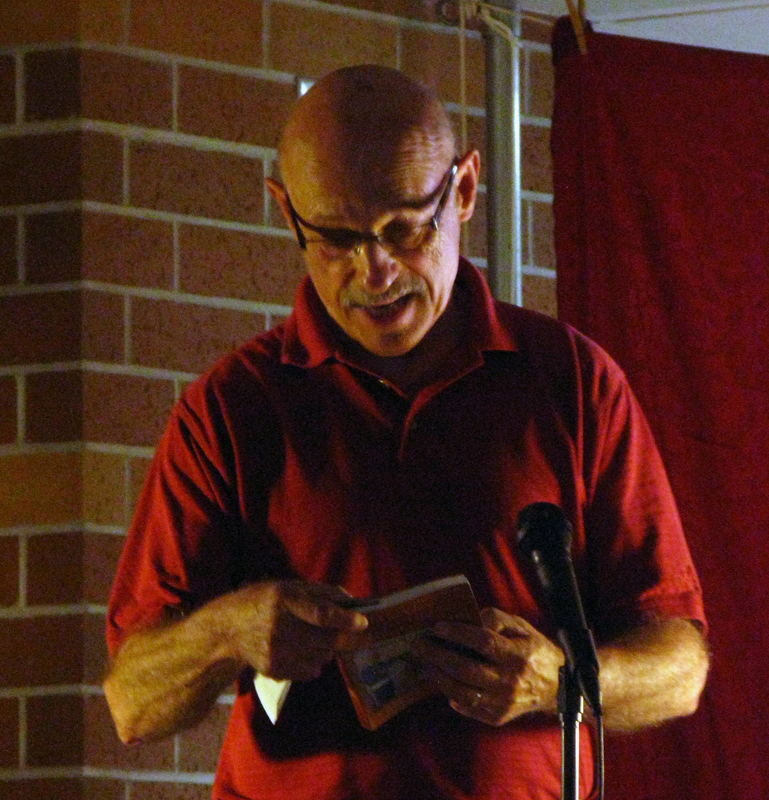 His readings, based on his experiences in a dementia ward, were humorous and heart wrenching. His book is on my “To Read” list. I was to read from my newest book, Riding for Love, but felt reading a romance was not appropriate for middle school students, so I read excerpts from A Jump Into the Past, which is a history book I wrote about our small town. I hoped the students and the audience would learn something about the beginnings of our fair burg. All in all, it was a wonderful evening. I sincerely hope the parents have the Creative Café again next year. Maybe more of the community will come and see our talented students putting themselves on stage and performing for a crowd. I know I plan on attending next year.